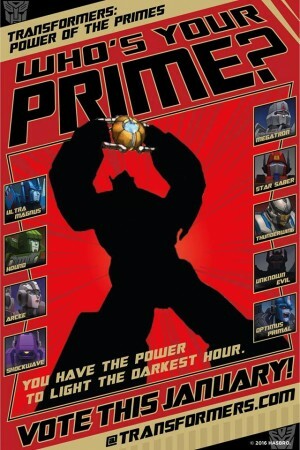 It is time for the final round of voting for the next Prime of Cybertron! The vote can be found HERE and is open for the next 4 days, and you can cast a vote each of the 4 days the contest runs. 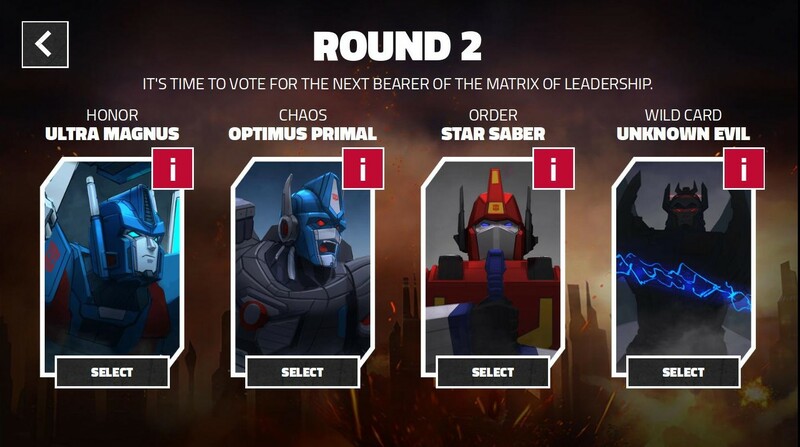 You can go and vote now, and let Hasbro know who you want to bear the Matrix of Leadership next! And let us know who you voted for in the comments section below! Munkky! Munkky! MUNKKY! MUNKKY! MUNKKY! 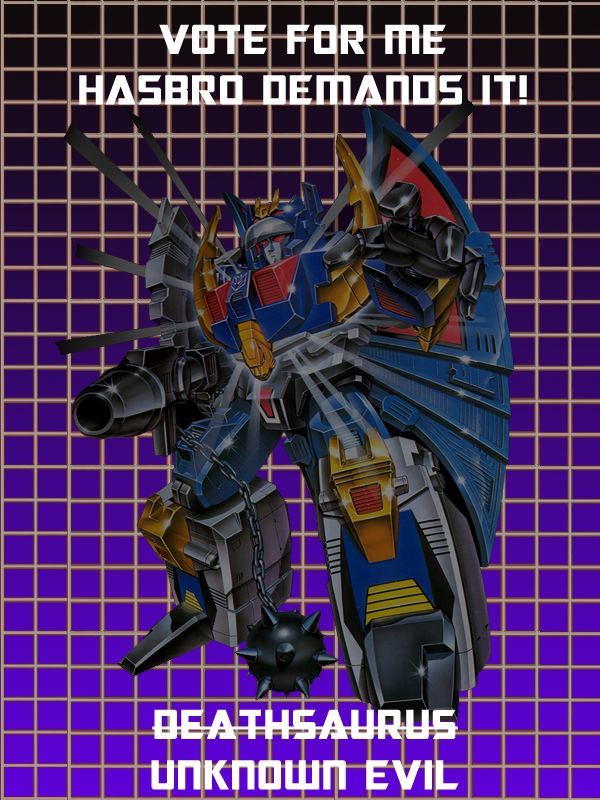 My vote went straight for Maximal Prime. That is my pick and will be my vote for all 4 days. Oh Primal, here's hoping! 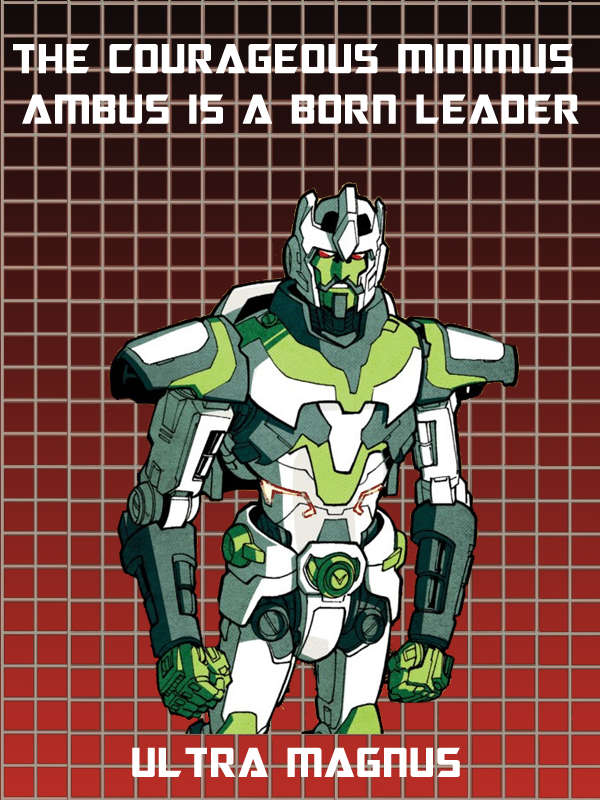 I really hope that if he wins we will have a Beast Wars renaissance in figures to folLow up to Rattrap, Waspinator, and Rhinox from a few years back in Generations. I need an updated Generations Beast Wars Dinobot and/or Megatron NOW. 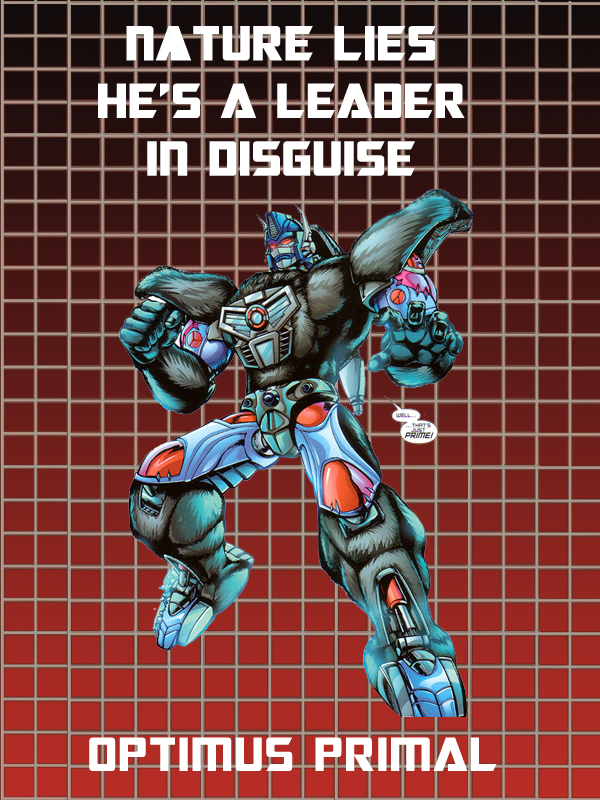 The Optimal Vote is a Vote for Optimus Primal! 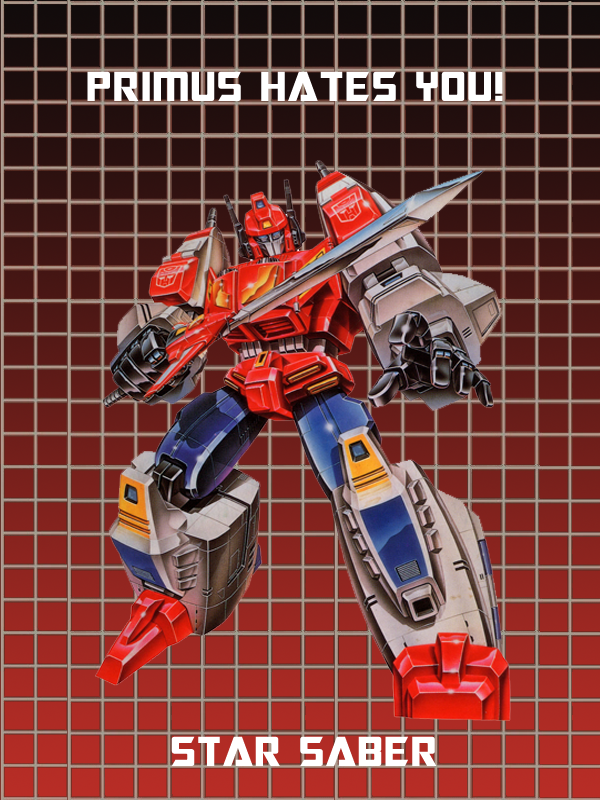 I voted for Star Saber, primarily because I want a new toy of him and this seems the best way to get one. I voted for Primal today, then Star Saber tomorrow, then Primal, the Star Saber. I don't have enough money to buy two masterpieces and besides, Magnums has had multiple chances (he only did well in Animated) and failed. And Deathsaurus is well, evil. My vote was for that Deathsaurus. But if not him then I hope Star Saber wins it since we already have several UM's figures. That silly monkey version of Optimus has always reeked of not knowing what to do with the TF franchise during that time. So I want no parts of it. Actually, Beast Wars is generally considered to be the franchise savior during a time in the late 90's when Hasbro legitimately didn't know what to do with the franchise, where neon rapaints of G1 toys rebranded as G2 was the best they could come up with. Plus, a lot of BW engineering is still used today (ex. ball joints). If you haven't watched it, you should definitely give it a chance. If you have, that's a shame, a lot of people really enjoyed it, and still do. Do you have MP StarSaber? I've been waffling on MP Primal for weeks now myself. Primal got my vote today, I might change it the next couple of days. Wouldn't mind seeing a different Primal in a new role. Well, as far as giving "some" figures a chance does Waspinator and Blackarachnia count? I have CHUG versions of those. Just never been a fan of Optimus and Megatron as Gorilla's and Dinosaurs. But if one of the Ongoing IDW books can successfully implement the other BW characters in that universe one way or another then who am I to argue right? Honestly Arcee was my top choice as I thought she'd be the most interesting of them, but with her gone, I went for Primal. ¯\_(ツ)_/¯ I really really wanted Shockwave. I dunno. Primal, I guess. 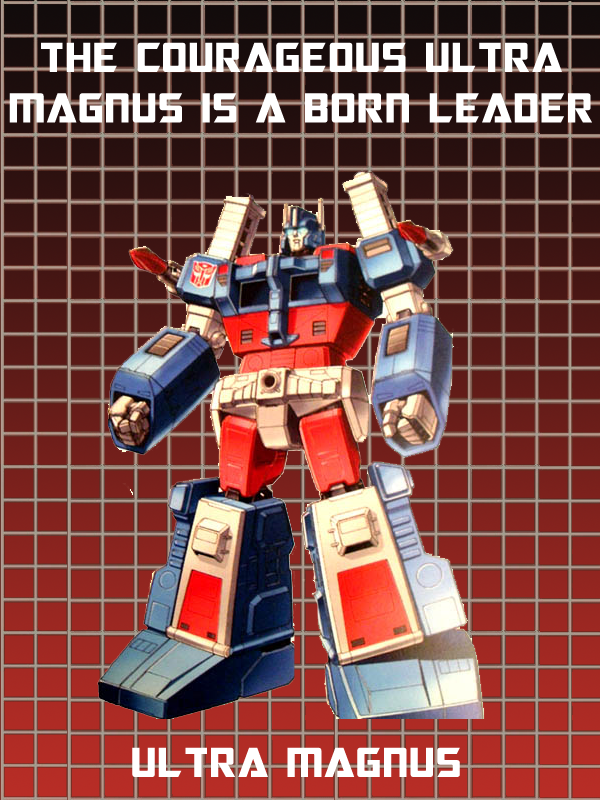 Ultra Magnus would be fine by me too. I don't want Star Saber. I voted Primal, because he's the optimal choice. Houndimus Prime is a crushed dream so I'm going with Star Saber in the hopes that him winning boosts his popularity in the west. I also actually want a toy of him too that's not either an expensive japan exclusive or a masterpiece figure since I hate Masterpiece. Unknown Evil ... because I hate you munky fans and want to shatter your dreams. Burn wrote: Unknown Evil ... because I hate you munky fans and want to shatter your dreams. Such a spoiler you are in Cybertronian politics. It's part of the Alt-autobot movement. The term "Alt-Autobot" was formed by some random racist mech (Sentinel Prime?) and a bunch of people on Twitter picked it up and thought it was a good term and didn't know it means they are a bunch of utter jackasses. 5,379 pages were recently viewed by 1,183 unique visitors. This page was viewed 1 times on Tuesday, April 23rd 2019 3:46pm CDT. © 2019 Seibertron, Inc. DBA Seibertron.com. All Rights Reserved. Established June 2000. Seibertron.com is owned by Ryan Yzquierdo.